In this episode, we take a look back at the previous year and highlight three women who share about how building their families and giving birth gave them an invaluable gift; careers they are passionate about. For each of us, having a child is a unique experience. We want to learn as much as we possibly can to make the best choices for our family. When we don’t find what we’re looking for, some take it upon themselves to create the experience they find missing for others. That is what Jen McLellan, Steph Crowder, and Lauren Falconer did. 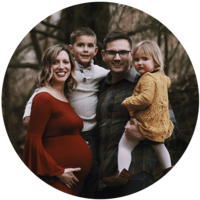 In Episode #5 with Jen McLellan, Jen shares how becoming a mom at a plus size left her at a loss when she searched for information online about pregnancy and birth. Discovering that there was a complete lack of empowering and informative resources for plus size pregnant women, she set out to create the space she knew women needed. Jen is now the best resource for plus-sized women online! In Episode #4 with Steph Crowder, Steph describes how she experienced a transformation around her career perspective when she became a mom and found an amazing way to pursue meaningful work while being present as a mother. 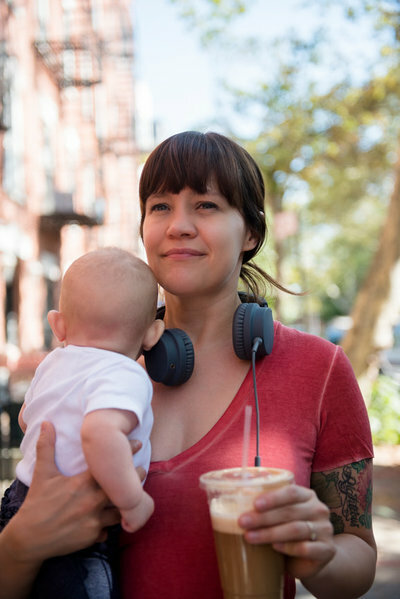 You’ll be inspired by how Steph describes shifting her goals and habits to experience motherhood on her terms. In Episode 17 with Lauren Falconer, Lauren shares how she found the space in her pregnancy and birth to tap into her intuition and energy as a woman. Realizing how empowering of an experience pregnancy and birth can be, she pursued becoming a yoga practitioner and childbirth educator to help other women discover their potential. Lauren designed the incredible online childbirth education course “Spirit Birth”, a program that helps mamas consciously and lovingly prepare for any birth. Steph Crowder is the host of the Courage & Clarity podcast and Director of Member Success at Fizzle. She’s worked with thousands of entrepreneurs all over the globe and she’s on a mission to help people everywhere find *their* definition of meaningful work. When she’s not biz building and strategizing with Fizzlers, you’ll find her getting cozy in her new Kentucky home with her husband, toddler + pup. Lauren Falconer is the creator of The LifePod and Spirit Birth. She is a birth educator, a doula, a yoga teacher, calmbirth practitioner, shamanic midwife in training and a blogger. She works with pregnant women, mothers, and women looking to reignite their connection with their intuition and passion for a soulful life. Lauren helps women to feel nourished and supported, prepared and deeply aligned with their inner wisdom. 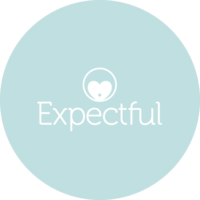 She helps to take the fear out of the birthing process and empower pregnant women to trust their own innate intelligence, reigniting the spirited experience that birth is.